The Alumnus/a of the Year is presented annually at the the Alumni Association Annual Meeting, which takes place during Reunion Weekend. This award recognizes those alumni who have displayed steadfast loyalty, dedication, and service to the Academy over the past year, and have shown an unwavering commitment to the place that meant so much to him or her. Candidates for this award are nominated by the Office of Advancement, and are presented to the Head of School and President of the Alumni Council for review. The Alumnus of the Year award is presented annually to a graduate who has been steadfast in his or her loyalty to the school, and has shown an unwavering commitment to the place that meant so much to them. 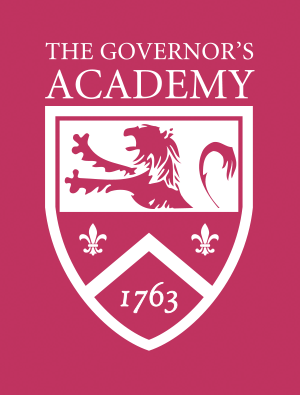 The inscription on the award itself reads: For Loyalty, Dedication and Service to The Governor’s Academy. This year's recipient is a graduate of the class of 1978. He is a connector for those in his class, and surrounding classes, and from the day he jumped the wall, he has been a steadfast champion of the Academy, its alumni, and students. With his quiet and unassuming demeanor, it might be easy to just pass by him and not understand the breadth and depth of his connection to our community and his commitment to helping others. Shortly after graduating, he returned to campus to serve as a part-time faculty adviser for the Academy’s multicultural students group. In 1993 he joined the faculty full-time and served the Academy as a member of the math department for three years before assuming the role of Associate Director of Admissions in 1996. As an Admissions Officer, he strengthened relationships with programs such as A Better Chance that helped to place children from urban communities in private schools. He endeavored to provide support to our students of color and offered them a safe environment to share their diverse experiences. He recognized their particular challenges, and offered heartfelt words of encouragement when they needed it most. He played a pivotal role in coordinating the Inter-cultural Orientation program, which assists our young students of color and international students when they first arrive on campus. He opened his home to our students of color and continues to serve as a mentor and connector for these graduates well after they have jumped the wall. Most recently, he has played an invaluable role in assisting with the development of our Alumni of Color Network. An alumnus, former faculty member, championship girls varsity basketball coach (with two NE Championships to his name! ), dorm parent to countless students, parent of two alumnae, a member of The Governor’s Academy Athletic Hall of Fame, and life-long champion of Govs, it was with great pleasure that we presented the 2017-2018 Alumnus of the Year award to Isaiah Suggs, Jr. '78, P'97, '02.